Grafting is a common practice with many trees and is especially important to the apple growing industry, but what is grafting? It is what happens when tissues from one plant are joined with the tissues of another so that they grow together. Usually, one plant is selected for its roots and the other for its stems, leaves, flowers, or fruits. Grafting is done for a number of reasons, including speeding up the growing process, creating hybrid plants and trees, repairing damage, and strengthening the hardiness, sturdiness, or pest and disease resistance of a tree. Sometimes several different trees will be grafted onto a single tree to create what is called a “family tree.” For example, a single backyard apple tree could have several different varieties of apple blooming on it by using this method of grafting. For more information on grafting, click here, and to see a step-by-step guide of how it is done, click here! Posted in Daffy Farms, The Daffy Apple and tagged apple, apple tree, apples, daffy apple, daffy farms, did you know, grafting, grow, tree on December 22, 2015 by daffyfarmsblog. Caramel apples are featured in the latest edition of Colorado Expression Magazine, which came out earlier this week. As the Rocky Mountain Region’s premiere caramel apple maker, they included us in their round-up of where find fall’s favorite treat. Click on the link and flip to page 40 to read more! 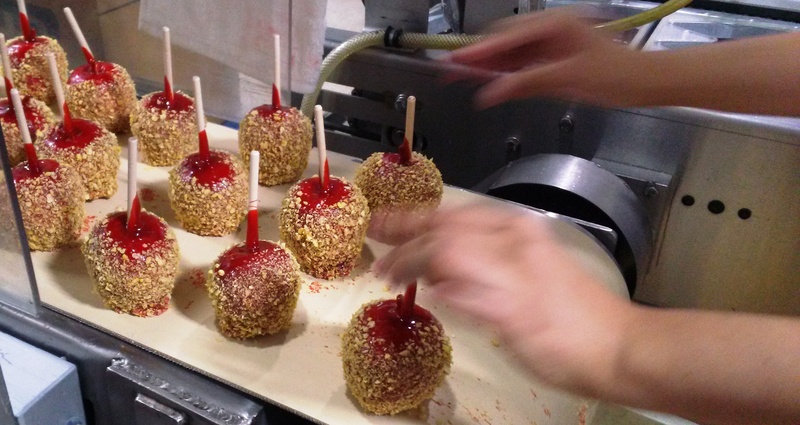 Posted in Daffy Farms, The Daffy Apple and tagged apples, caramel, caramel apple, colorado company, colorado expression, daffy apple, daffy farms, denver, fall, magazine, press, treat on October 12, 2015 by daffyfarmsblog. We’re making some red ones today! Because everybody loves the red ones!! Posted in Daffy Farms, Delicious Pictures, The Daffy Apple and tagged apples, caramel apple, crunch, daffy apple, daffy farms, red, red candy caramel on September 4, 2015 by daffyfarmsblog. The Bad News: The website is going to be down for a couple of hours this afternoon while we make some awesome changes! Posted in Bulk Caramel, Caramel Apple Wedding Favors, Daffy Farms, The Daffy Apple and tagged apples, caramel, caramel apple, caramel apples, daffy apple, daffy farms, events, mobile, mobile devices, parties, petite, website, weddings on July 30, 2015 by daffyfarmsblog. 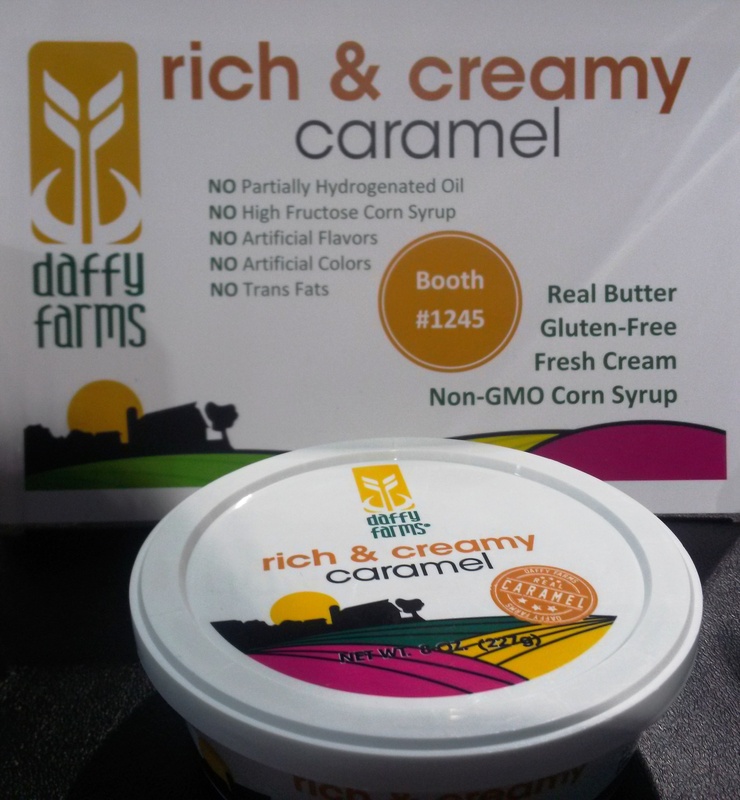 The big news for us at the IDDBA’s Dairy-Deli-Bake Seminar and Expo was the introduction of our newest product: Daffy Farms Rich & Creamy Caramel! “Daffy Farms is proud to introduce Daffy Farms Rich & Creamy Caramel, an eight ounce container of caramel created specifically for the retail store shelf. The first endeavor into the retail dipping caramel market for Daffy Farms, Rich & Creamy Caramel is gluten free, and contains no artificial flavors, artificial colors, partially hydrogenated oils, high fructose corn syrup, or trans fats. Also, it was featured in the New Product Showcase at the show! Hopefully, you’ll see Daffy Farms Rich & Creamy Caramel on store shelves as early as this fall! 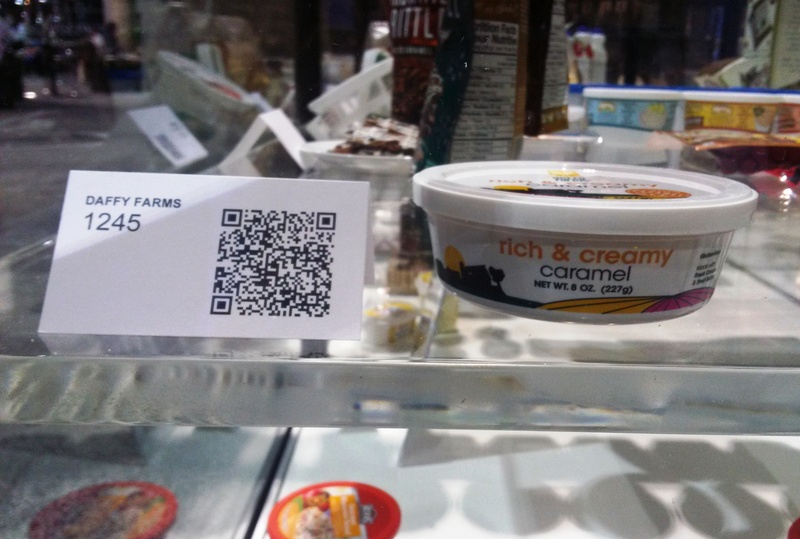 Posted in Daffy Farms, The Daffy Apple and tagged all natural, apple slices, apples, caramel, daffy apple, daffy farms, dip, dipping caramel, fruit, ice cream, iddba, news, retail, rich & creamy, trade show on June 26, 2015 by daffyfarmsblog.